« EXCITING Downtown Vancouver Maddox Condo Tower Launching! Cressey Introduces the Yaletown Maddox Vancouver Condos for Sale Rising 37 Storeys! NEXT STATION… THE STATION Port Moody real estate development! Coming April 2011 will be Aragon Properties Ltd’s next condominium and townhouse project development. It’s not often that the figurative and the literal become one and the same, but you will know you have arrived when you come home to The Station Port Moody condos and townhomes. This is Aragon Properties’ latest Port Moody real estate development and will be located just around the corner from the West Coast Express station. Featuring new Port Moody condominiums and townhomes, there will be a total of 106 units for sale at The Station by Aragon. The floor plans will range from six hundred to over eleven hundred square feet and will also have single and multi-level homes. This will surely signal your arrival on the next level of your home ownership experience. Register today to find out more about The Station Port Moody condos and townhomes that will feature amazing sleek interiors as well as geothermal heating and cooling systems. These are just a couple of reasons why this has become the most exciting Port Moody real estate development. Register today at www.thestationliving.ca. FINALLY, WHAT YOU HAVE ALL BEEN WAITING FOR… The Grand Opening of THE STATION Port Moody Condos for Sale! The official grand opening and VIP sales at the new Port Moody STATION condos and townhomes is coming Saturday, April 2nd 2011 from 12 Noon – 5 PM! 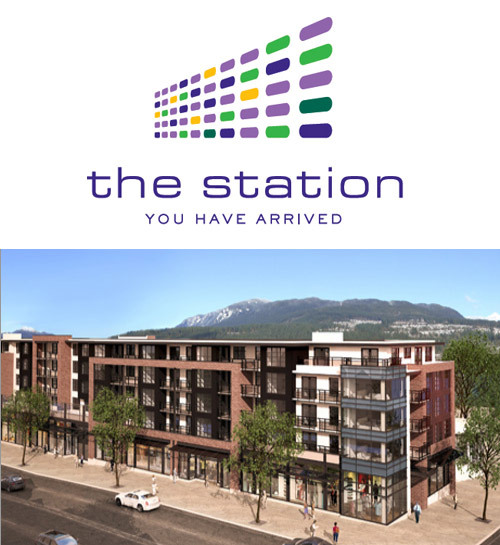 THE STATION is Aragon’s Properties exciting new collection of 106 luxurious residential units, on St. Johns in Port Moody real estate market. A 6-storey condominium building featuring breath taking mountain and water views will present affordable and contemporary Port Moody condos for sale. Choose from an extensive selection of One Bedrooms, Two Bedrooms, Two Bedrooms plus Den and Three Bedrooms plus Den Station Port Moody condominium floor plans. Or, for homebuyers looking for something a bit different, there are also 26 Two-level, Two Bedroom Port Moody Station Townhomes. The Station Apartment sizes range from 552 to 1,306 square feet, while the new Port Moody townhomes range from 962 to 1,106 square feet. Aragon Properties has spared no expense to provide top-of-the-line finishing and fixtures throughout these new homes, including G.E. Café stainless steel appliances, engineered white oak hardwood throughout, polished quartz counter tops, and best of all, geothermal heating and cooling system. This beautiful Station Port Moody real estate development is located just around the corner from the West Coast Express station and the proposed Evergreen Line’s Port Moody station, providing easy commutes to Downtown Vancouver and the surrounding areas. Don’t miss out! We look forward to helping you choose your new home at THE STATION Port Moody real estate project! Sales Team at 2732 St. Johns Street Port Moody, BC V3H 2B7. If you have any questions, please feel free to contact Dee Johnson at 604 889 5847. From the email desk at ‘The Station’ Port Moody condos: You are first to learn about Aragon Properties’ new Port Moody real estate development at St. Johns and Moody Street, The Station Port Moody condos, a 6-storey condominium and townhome building with 106 residential units and 21,000 square feet of ground-level retail, with many pre-sale homes having majestic mountain and water views. The presale Port Moody Station apartment sizes range from 564 to 900 square feet, while new and spectacular townhomes range from 960 to 1,100 square feet. The designers and developer spared no expense to provide top-of-the-line finishing and fixtures throughout these homes, including G.E. Café stainless steel appliances, engineered hardwood throughout, quartz counter tops, and best of all, geothermal heating and cooling. Live in the beauty of the natural West Coast, with the convenience of the West Coast Express at your door step.This beautiful Station Port Moody condo development is located just around the corner from the West Coast Express Port Moody station and the proposed Evergreen Line’s Port Moody station, providing easy commutes to Downtown Vancouver and the surrounding areas. The Station Port Moody condos and townhouses offers the utmost in luxury and convenience. This is your prime opportunity to purchase before values skyrocket. 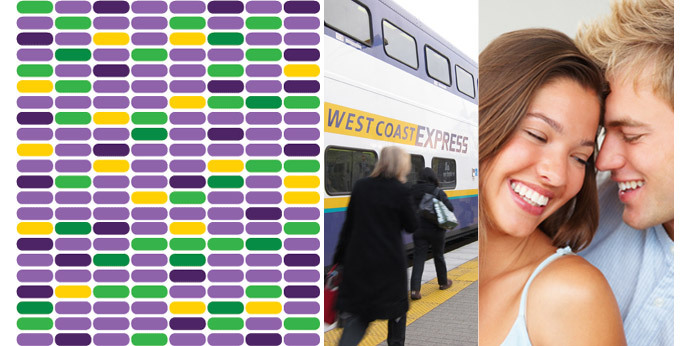 The Port Moody Townhomes at The Station are just located minutes from the West Coast Express train station in the city centre. The Station townhomes introduces sleek, contemporary interiors in a very liveable community. State of the art geothermal heating and cooling reduces your environmental footprint on this amazing community and The Station Port Moody real estate development by Aragon Properties features both condominium homes and townhouses for sale. Pre-Sales are set for April 2011. Locate just minutes from the West Coast Express and major transportation centre, the Port Moody Station by Aragon condominium residences are now accepting priority registrations for advanced preview sales commencing April 2011. The Station Port Moody real estate development is also close to the new city centre, amenities and services and introduces sleek, contemporary interiors with state of the art geothermal heating and cooling system that wil reduce your environmental footprint as well as your heating bills. A fine selection of Port Moody Station townhomes will also be available for more living space. Recently launched one bed and two bedroom Port Moody condos in addition to two level townhomes have been a great success in today’s market. Called The Station by Aragon Properties, this Port Moody real estate project features an unbelievable location and quality and value throughout the residences. The 106 suite project also includes over 21,000 square feet of ground floor commercial and retail space, giving way to a new idea of mixed use living that provides you with great amenities and services just floors below you In addition, The Station Port Moody condos and townhomes provide an exciting location that is within walking distance to the West Coast Express Station as well as the new Evergreen Line SkyTrain station which is in the proposal stage at this moment. Six storey living in a revitalized neighbourhood full of vitality and life, the pre-sale Port Moody condos and The Station Townhomes for sale are all about sustainability and green features. Port Moody real estate district itself is rated as one of the most liveable communities with tonnes of parkland and green spaces for residents. With over 200 groups of prospective homebuyers looking through The Station Port Moody condo display suite during the grand opening, it is no wonder why this area and project has been a huge success thus far. With one to three bedroom floor plans available and ranging from six hundred to over eleven hundred square feet, the pre-sale Port Moody Station townhomes and condos feature home sized features such as pantry and extra large storage spaces. The bedrooms are extra big and the living spaces are entertainment sized. Also at The Station Port Moody townhomes are two level residences or townhouses that feature 960 to over 1220 square feet in living space. There are only 26 opportunities at The Station Port Moody townhomes for sale. All residents at The Station by Aragon will enjoy over 800 square feet of amenity space as well as over 1000 square feet of outdoor common space on site. Inside, these pre-sale Port Moody condos and townhomes will include GE Café stainless steel appliances, open style kitchens, open concept living/dining rooms, white oak engineered floors top of the line finishes and square edged flat panel oak cabinets. There is task lighting as well as geothermal heating and cooling in the new Port Moody condos for sale too. The location is also a great feature with a close proximity to the Rocky Point Shoreline Trail, Burrard Inlet as well as other community highlights such as the Port Moody Arts Centre and the Moody Centre itself. Old Town Centre and Newport Village Port Moody real estate district are also close by.